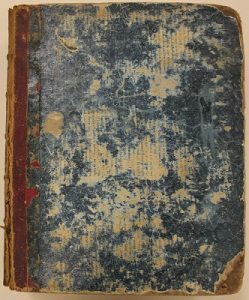 The Archives & Special Collections Center recently acquired a historic diary of a Seton Hall student, which provides interesting glimpses into what it was like to attend Seton Hall College in the 19th century. 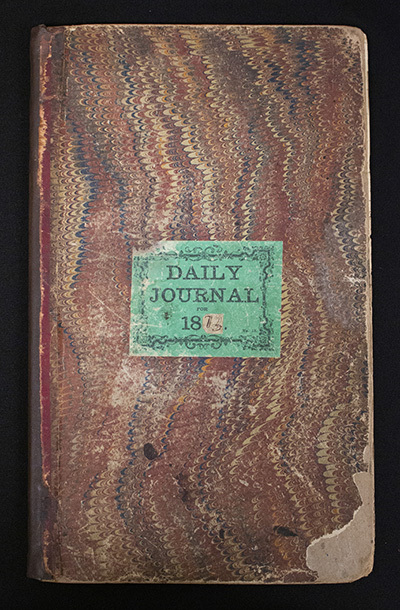 The diary was written by John Erigena Robinson, who graduated from Seton Hall College in 1874. His diary concerns his everyday life at the college, including worrying about assignments, writing letters to his family and friends, and playing for the college’s baseball team. The campus that Robinson studied at during the mid-1870s was one that centered on a structured, liberal arts education that was emblematic of Catholic higher education during his age. He entered into a world of study at Setonia that consisted of two sessions lasting five months apiece from September through June. According to his recollections, Robinson primarily lived on campus during the school year, but on many weekends and holidays he would travel the roughly 24 miles from South Orange to Manhattan via the Delaware, Lackawanna & Western Railroad roughly three hours or more round trip to visit family and friends and then reverse his commute prior to the resumption of classes. 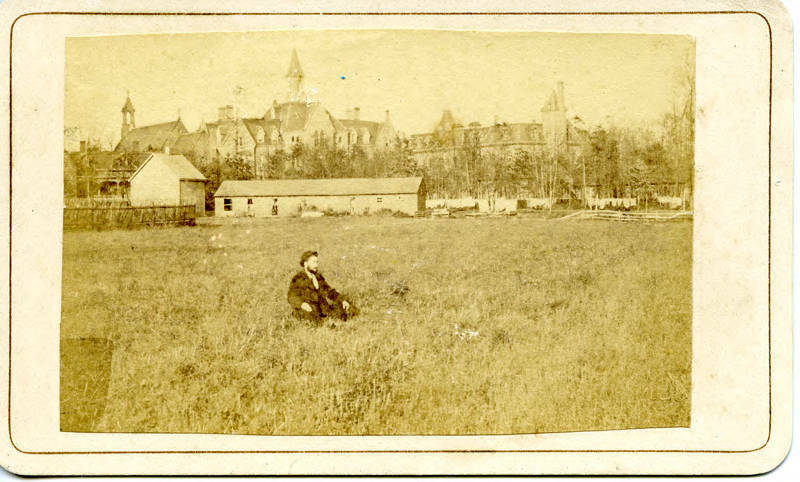 After walking from the train station to campus he would study on campus in a setting where “The College buildings are of great architectural beauty, large and commodious . . . ” and quite different in setting with the Orange Mountains in the background as opposed to the more congested streets of Brooklyn. Along with the scenery and the structures where he would spend most of his time while at the school, Robinson entered a world that was structured and included a liberal arts curriculum of long standing. Beyond the classroom, Robinson played baseball for the Seton Hall nine also commonly known in that age as the Alerts which began as a popular sport on campus during the late 1860s and engaged in more formal play the following decade. According to existing documentation they played local teams mainly their arch-rivals St. John’s College (now known as Fordham) of the Bronx during the 1873 season. The main highlight of his time was a defeat of St. John’s 24-13 during October of that year which carried the squad into the following campaign where they would play the same opponent twice more. Robinson would be among the pioneer players for the team that would grow in competitiveness and success over subsequent seasons. 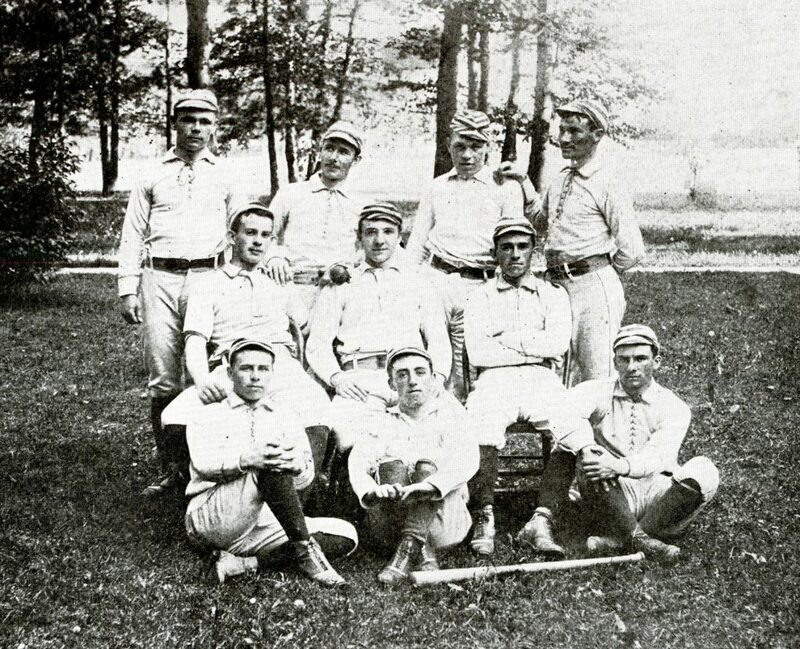 One of the earliest photographs of Seton Hall College’s baseball team, The Alerts, taken in the early 1890s. The reasons why Robinson was not able to start a college newspaper are unknown, but fortunately for Seton Hall it was not completely “a dream of the past” but simply deferred. 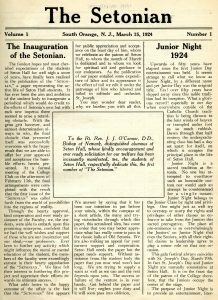 A college newspaper was eventually founded in 1924—51 years after Robinson’s plans and with the same name he proposed, The Setonian. 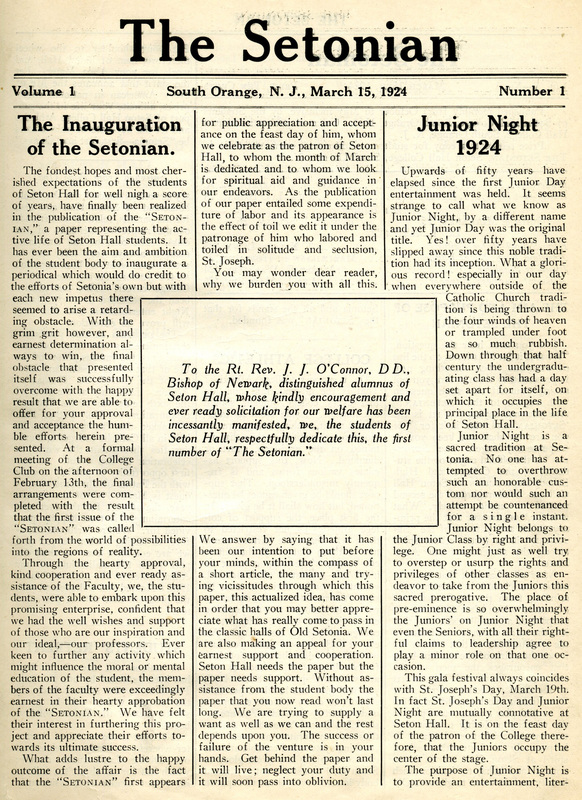 The first issue of the Setonian was released on March 15, 1924, 51 years after Robinson’s initial attempt to start a newspaper for Seton Hall College. Like many Seton Hall students, Robinson felt a connection to the College that extended well beyond his graduation, and further diary entries indicate that he remains aware of what is happening there and stays in touch with friends he met in school. His diary provides insight into the ways that student life has changed over the years, but also ways it has remained the same. For more information or to view the diary please make an appointment with Brianna LoSardo or Alan Delozier. We can be contacted at archives@shu.edu or (973)-761-9476. 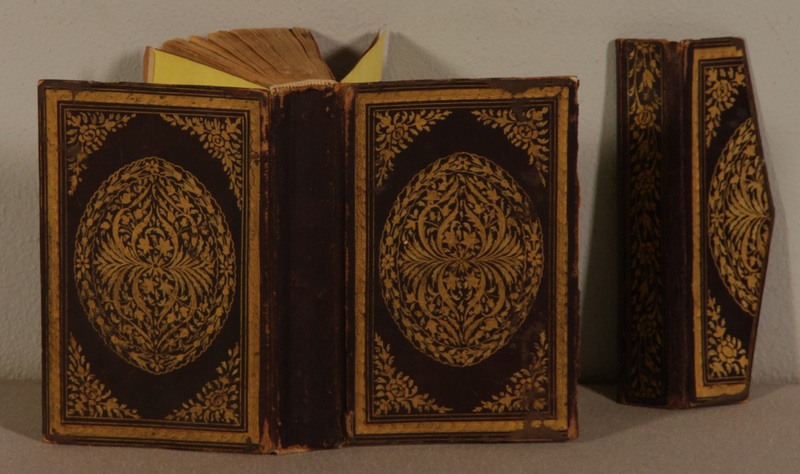 The Archives & Special Collections Center in collaboration with the Digital Humanities Committee recently had conservation work and digitization performed on a 17th century illuminated manuscript Qur’an from the rare book collection. 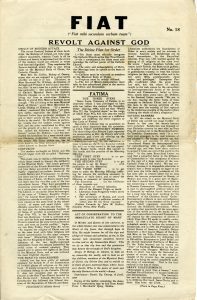 The Qur’an was originally brought from Lebanon by Edwin D. Hardin, who was a missionary stationed at the American University of Beirut from approximately 1900 to 1915. It first came to Seton Hall in 2003 when it was featured in a Walsh Gallery exhibition entitled The Beauty of Sacred Texts: Celebrating the 50th Anniversary of the Institute of Judeo-Christian Studies. The lender, Mr. Peter Kennedy, had intended to gift the volume to the University and in 2016 donated the Qur’an to the Archives & Special Collections Center. 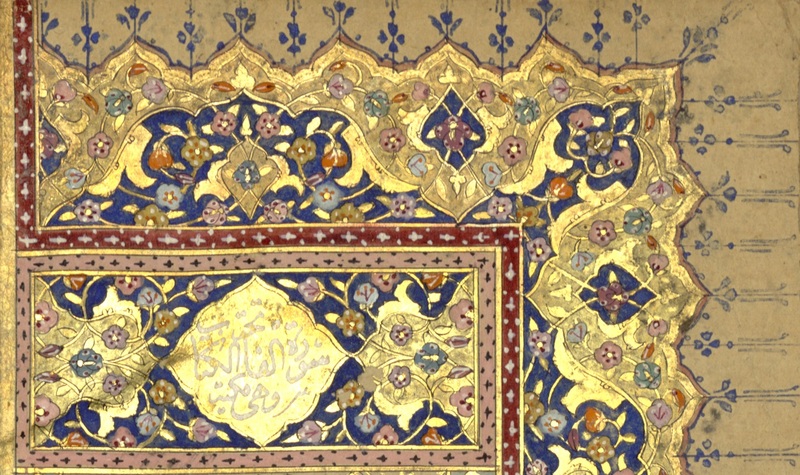 The Qur’an was sent out for conservation in order to stabilize it for digitization and handling. The volume had undergone some previous repairs and was re-bound sometime during the 18th or 19th century. The envelope flap, which extends from the back cover of the volume and folds up to cover its fore edge, was very weak at the hinges and became detached during the conservator’s examination. 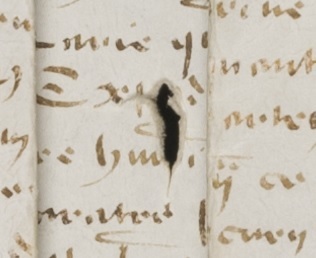 The binding was also failing, causing some leaves to loosen and begin to detach. 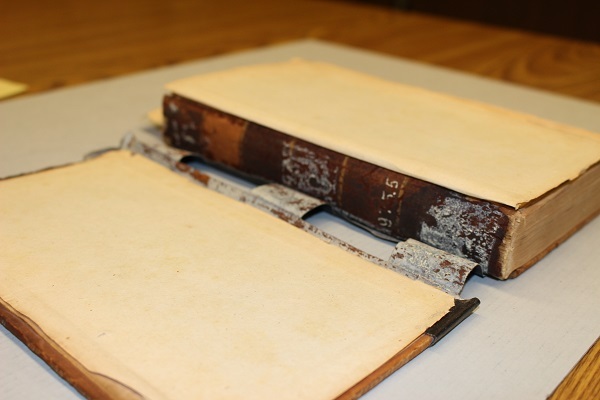 We sent the volume to Etherington Conservation Services in North Carolina, where conservators reattached and reinforced the envelope flap, repaired minor damage to the covers, re-sewed the binding, and re-covered the spine. 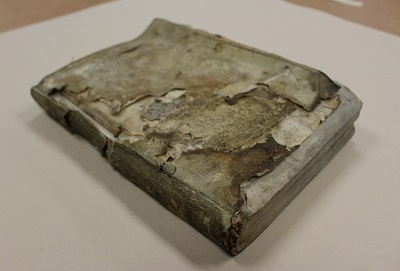 While the binding was removed, they scanned the pages to create a digital copy of the book. 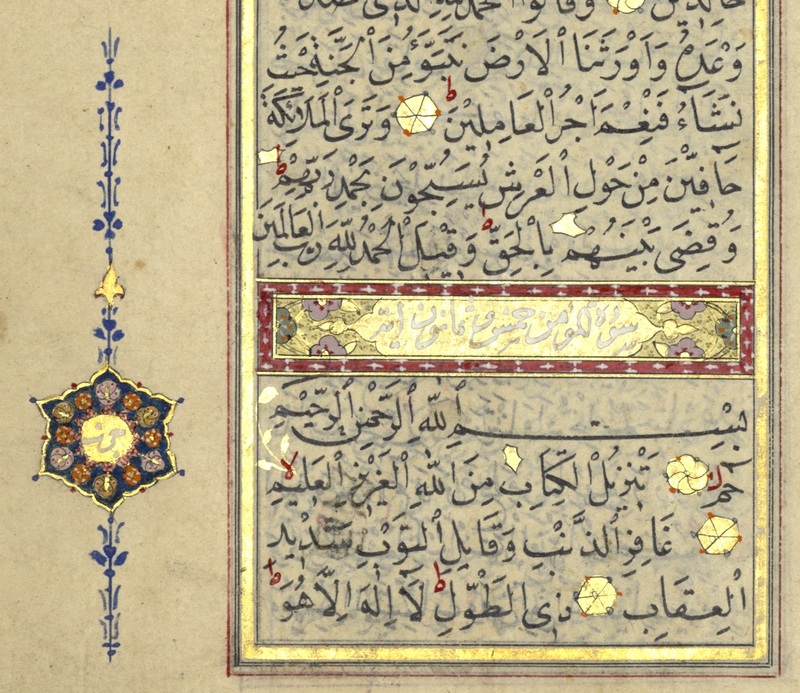 As a result of this work, this historic Qur’an is stable enough for handling and display, and the digital images can be made available online. This will allow researchers to view the Qur’an’s beautifully illuminated pages and intricate marginal decorations without putting stress on the volume. 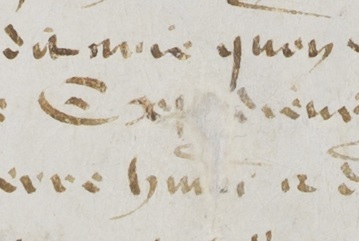 It will also open up many possibilities for research projects, such as a potential project to decipher and translate the annotations that appear throughout the volume. The digital collection is coming soon! I fioretti di S. Francesco translates to Little Flowers of St. Francis. 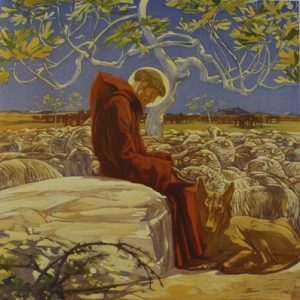 It is a collection of readings about St. Francis, compiled by an unknown author in the 14th century. The Archives and Special Collections Center holds a 1926 copy of Little Flowers that is one of a limited run of the text which features illustrations and covers created by Italian Art Nouveau artist Duilio Cambellotti. 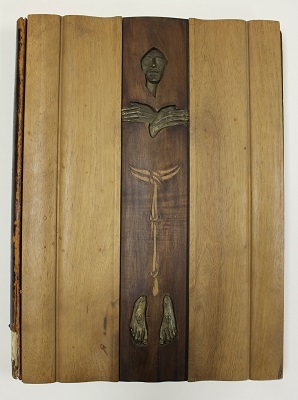 The distinctive wooden front cover is milled to give it a curving shape, and is inset with metal decoration. Striking, brightly colored illustrations depict scenes from the text. 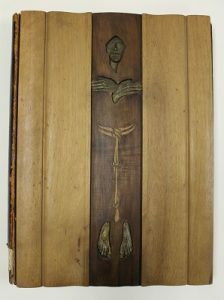 Wooden front cover with metal inset design. Duilio Cambellotti was born in Rome in 1876. He originally studied accounting, but soon turned to the arts. He became involved in many aspects of the arts, including painting, sculpture, theater, and design, and was influential in the Italian Arts & Crafts and Art Nouveau movements. Cambellotti was especially well known for his Art Nouveau style illustrations and his furniture design. Illustration depicting St. Francis surrounded by animals and nature. 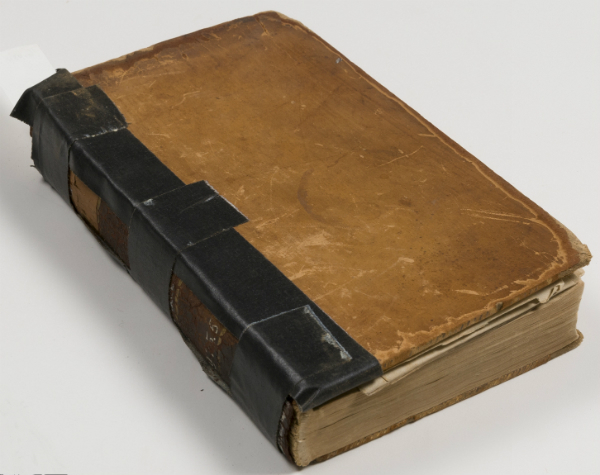 The Archives’ copy of I fioretti is in need of conservation work to repair damage to the spine resulting from stress on the heavy wooden cover, and mending of minor tears and losses to the leaves of the volume. 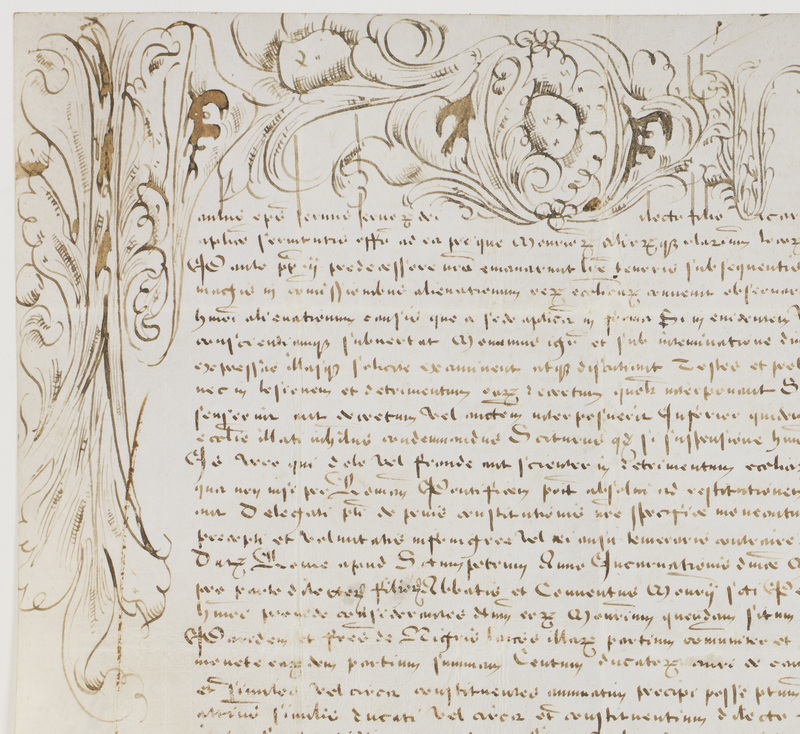 You can help support the conservation of this important work! 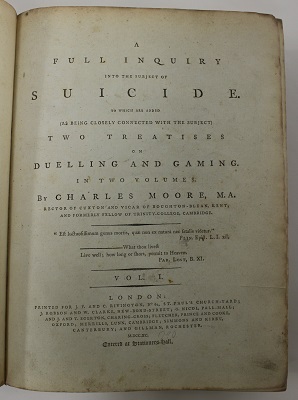 Any donation toward preservation of this rare volume would be gratefully accepted. To donate, please visit our Adopt a Book page. 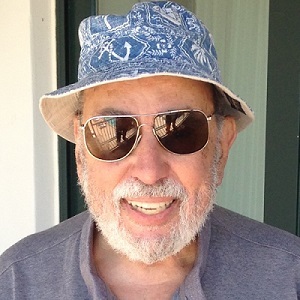 The staff of the Archives and Special Collections Center were saddened to hear of the passing of Professor Emeritus Daniel J. Leab. Dr. Leab had a great impact on the University, devoting thirty years to Seton Hall’s History Department and serving as founder and director of the University’s Multi-Cultural Program. Dr. Leab was a strong supporter of the Library and the Archives. 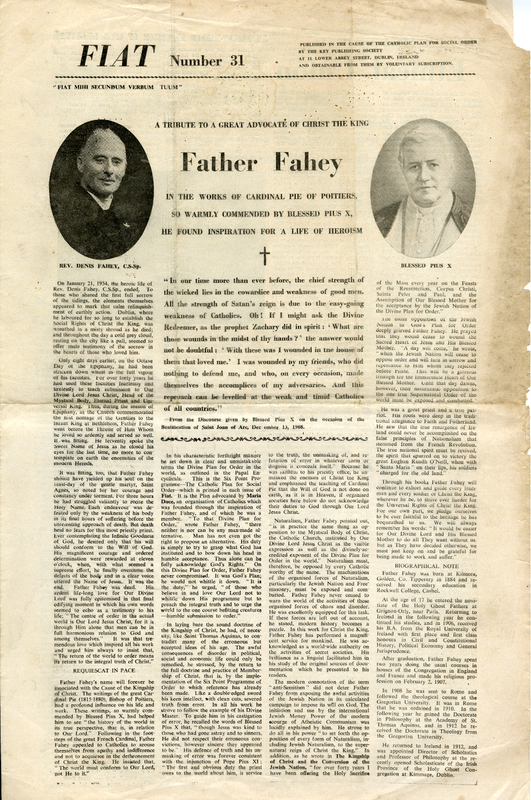 In 2015 he donated a collection of his research materials to the Archives and Special Collections Center. The collection consists of books, publications, and photocopied material relating to his varied research interests, which included the Cold War, American communism, the American Labor movement, the history of the FBI and the CIA, and the history of film. Notable in the collection is a nearly complete run of House Un-American Activities Committee (HUAC) reports, including reports on the controversial Hollywood investigations. 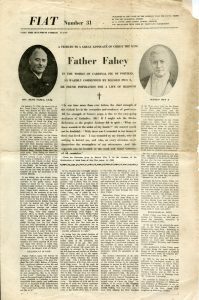 Dr. Leab’s contributions to the Archives are just one way that his legacy will live on at Seton Hall. 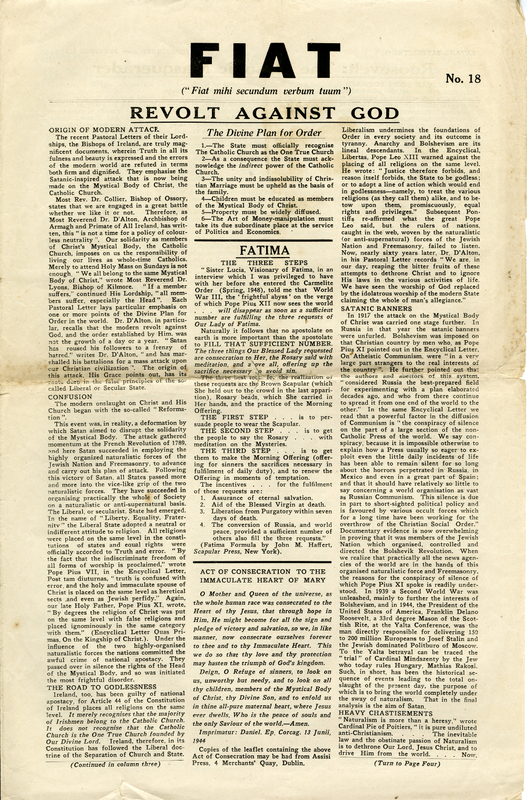 To learn more, view the list of books and the finding aid for the collection. Adopt a Book this Giving Tuesday! 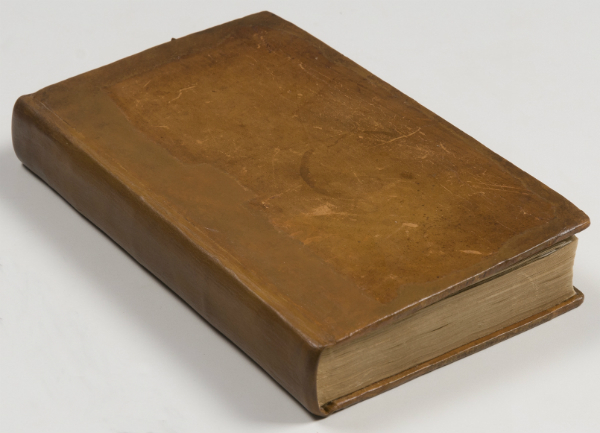 This Giving Tuesday, consider making a gift to support the conservation of rare books in our collections. 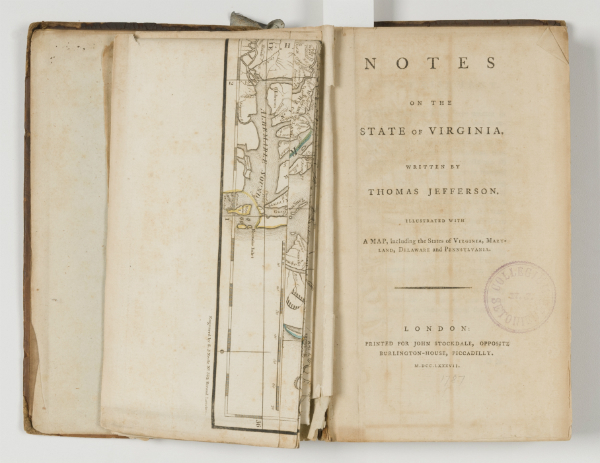 Our new Adopt a Book program gives donors the opportunity to contribute to the conservation of specific items from the collection that interest them. Adopting a book is a great way to honor a loved one or commemorate an occasion while supporting the preservation of rare materials for generations to come. To learn more about the program or to make a donation, please visit our Adopt a Book page. Ignazio Danti (1536-1586) was an Italian priest, astronomer, mathematician, and cosmographer. Born to a wealthy family in Perugia, Italy, he grew up surrounded by artists and scholars. His father and grandfather were both architects and engineers, and his older brother Vincenzo Danti became a famous sculptor. Raised in an environment that fostered his love of science and mathematics, Danti went on to make significant contributions to those fields. 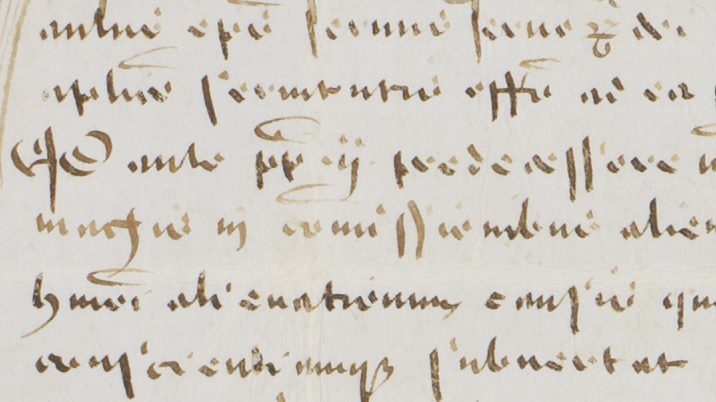 At the age of 18, he entered the Dominican Order and began studying philosophy and theology, but also continued learning about mathematics, astronomy, and cartography. In 1562, he moved from Perugia to a monastery in Florence and began to work on many scientific and cosmographic projects. 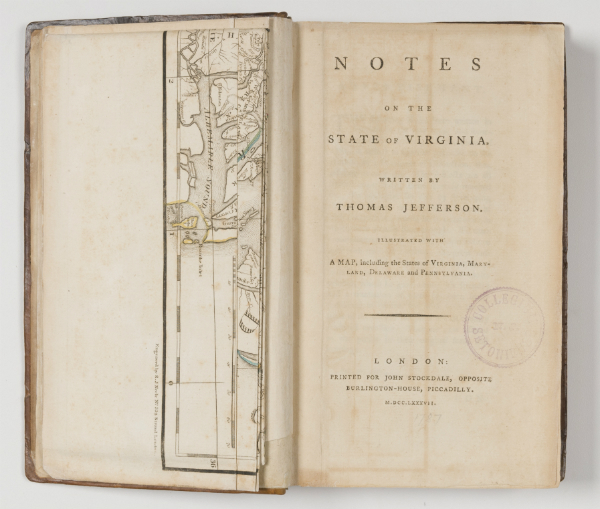 He painted maps and globes, created architectural plans for various buildings, and published over a dozen scientific treatises. These include Trattato del’uso e della fabbrica dell’astrolabio which was the first Italian work on the astrolabe, an early scientific instrument that enabled astronomers to calculate the position of the Sun and prominent stars with respect to both the horizon and the meridian. 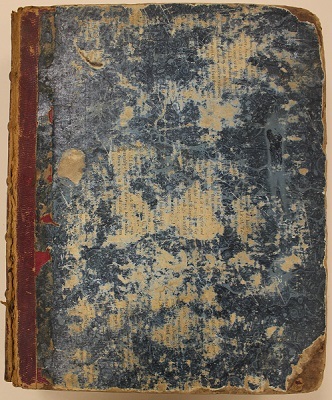 Front cover of Primo volume dell’vso et fabbrica dell’astrolabio, et de planisferio, showing losses and water damage. 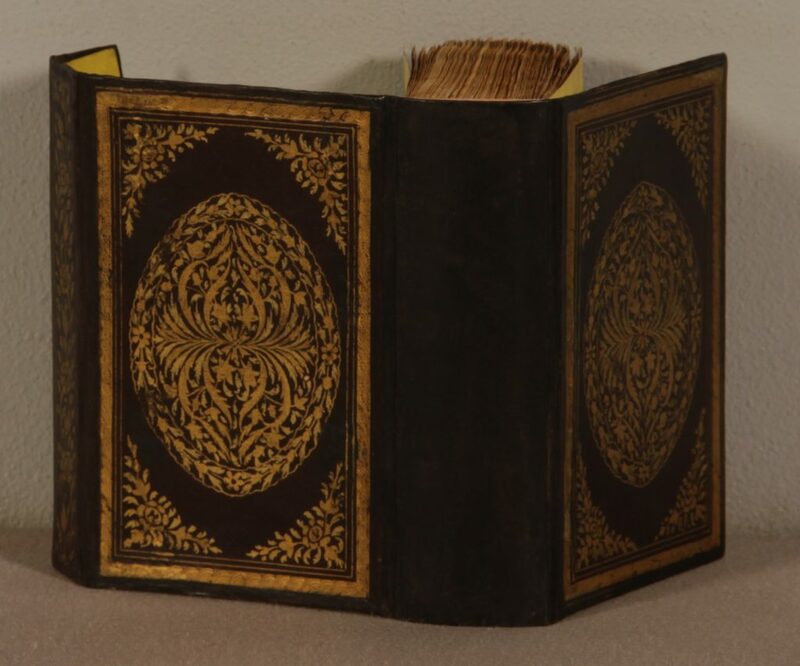 The Archives and Special Collections Center holds a rare copy of Primo volume dell’vso et fabbrica dell’astrolabio, an expansion of Danti’s first work on the astrolabe. 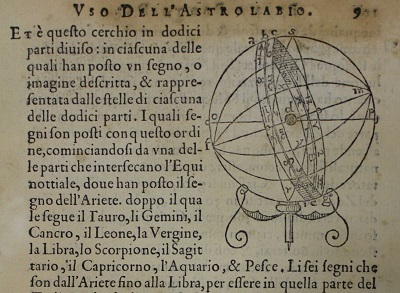 This important work is an early example of instruction in the use of scientific instruments in Italian, and it provided an important resource for Italian astronomers. 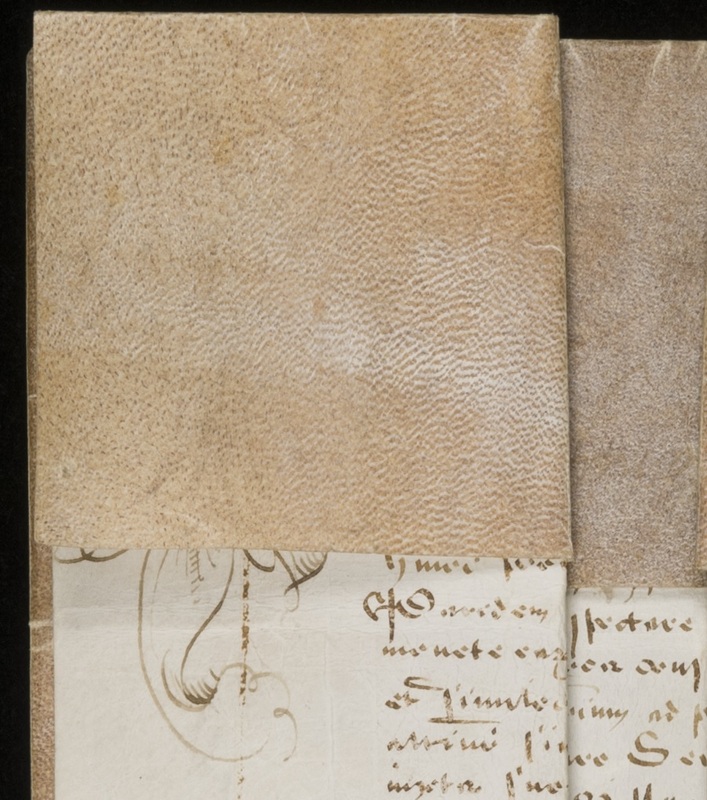 This copy is in need of conservation treatment to clean and repair its leaves, replace its badly damaged cover, and reinforce its binding. You can help support the conservation of this important work! 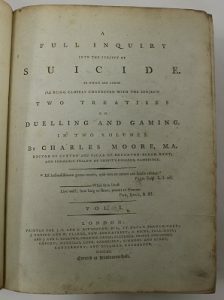 Any donation toward preservation of this rare volume would be gratefully accepted. To donate, please visit our Adopt a Book page.